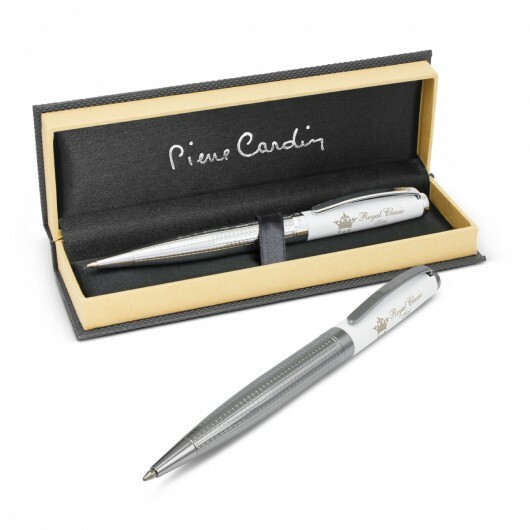 A premium corporate metal pen crafted by Pierre Cardin and decorated with your logo. These sophisticated twist action brass pens are specifically crafted for corporate branding. 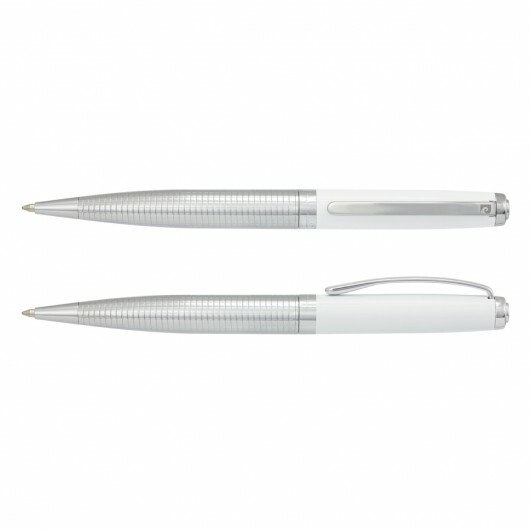 The pens lower barrel features a subtle guilloche engraved pattern with elegant shiny chrome electroplating and the upp barrel is finished in polished white lacquer which offers a variety of decorations. These pens are home to a large 4000m ink refill of German made Dokumental ink and utilise a tungsten carbide ball for improved writing quality. The Pierre Cardin logo is tastefully engrave don the centre ring and clip and comes presented in a Pierre Cardin gift box.